The Eastern Hemlock - Tsuga Canadensis is a very unique evergreen/conifer, this is because it's terminal leader often droops instead of giving the tree a typical pointed top like most in the Pine family. It's natural range begins to the North in Nova Scotia and continues South through Wisconsin and Minnesota, throughout the Alleghany Mountains and South through Georgia and Alabama. It is native to every state along the East Coast with the exception of only Florida in the far South. It is very common in the Mountains of Pennsylvania and Ohio, it is the only Hemlock variety that is native to Ohio. It's hardiness zone is 4-7. In the Southern range it is found only where there is moist air, rocky ridges, valleys, ravines lakeshores and hillsides. In the Northern range it is found in a wider variety of locations including on low rolling hills and even glacial ridges. 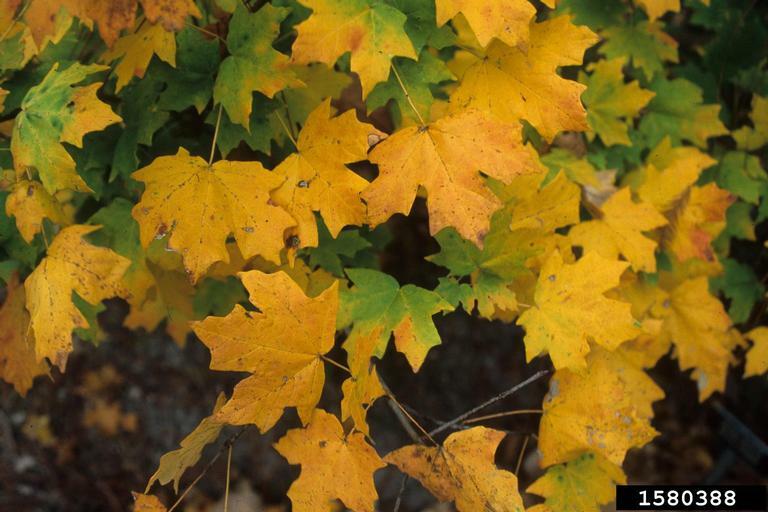 It most commonly grows in mixed stand settings along with White Pine, Red Oak, Sugar Maple, American Beech, White Ash, and Yellow Birch. In Eastern North America the Eastern & Carolina Hemlocks are greatly threatened by the Hemlock Woolly Adelgid. Trees infested with Hemlock Woolly Adelgid can be easily identified by visable egg sacs, which resemble small tufts of cotton clinging to the underside of hemlock branches. 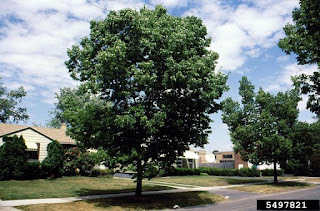 Once infested trees generally become a grayish-green instead of there rich healthy green color. This pest feeds on the phloem sap of tender hemlock shoots, and may also inject a toxin while feeding. The resulting desiccation causes the tree to lose needles and not produce new growth. In the northern portion of the Hemlock's range, death typically occurs four to ten years after the initial infestation. Trees that survive the direct effects of the infection are usually weakened and may die from secondary causes. This pest has been identified as active in 11 states within the Hemlocks growth range causing major concern for the future of these majestic trees. The Eastern Hemlock does not begin to produce cones until about the age of 15. The brown cones are relatively small only 1/2-1 inch in length and usually not more then a 1/2 inch wide. Once the cones begin production they come in high volume and for many many years, some specimen have been found producing cones even at 450+ years old. Seed viability is generally low, even though there are a large number of cones produced. The Hemlocks seed is easily damaged by drying. They regenerate best on exposed decomposing layers under 70-80% crown cover, in rotten logs or stumps or mounds where the temperature is warmest among the forest floor. The Eastern Hemlock grows in an upright primarily conical fashion with long branches that often droop at the ends. At full maturity they can average 100 feet tall but have been found growing as tall as 170+ feet. 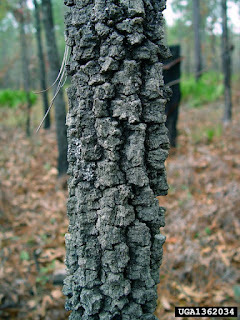 The bark is brown, scaly and fissured . 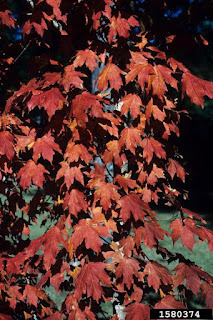 The bark was once used commonly as a source of tannin or the leather industry. The needles are evergreen and flat, usually 5-25 mm long and set on each branch with peg like projection. The wood is not of a high enough quality furniture making. It is used for light framing material, boxes, crates and even pulping. It is not considered an important timber tree in today's market. Commercial stands have been greatly reduced by prior harvesting and lack of replanting. The Eastern Hemlock can be used as a specimen tree, planted in groups for screening, or even trained/sheared over time into formal evergreen hedgerows. 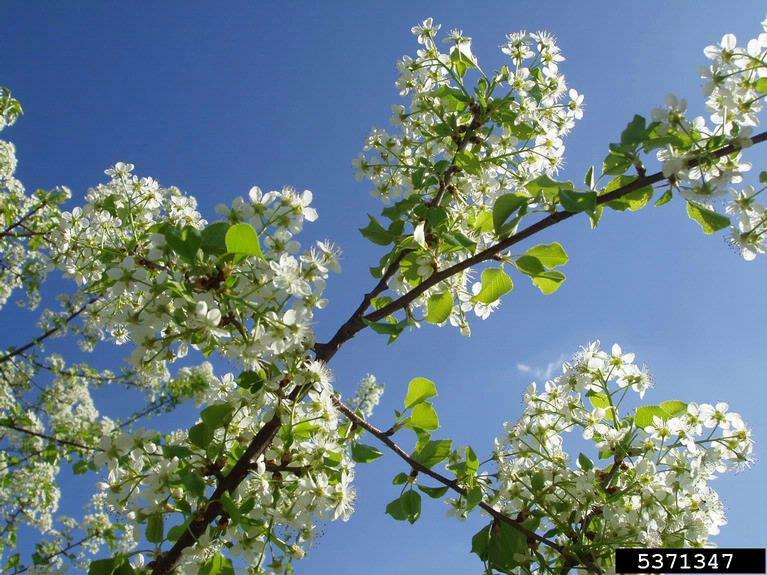 It is tolerant of full shade and has a natural open growth habit. 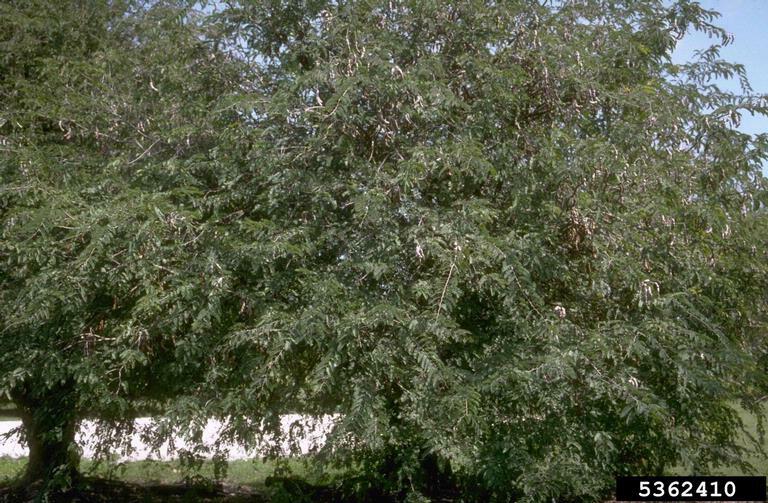 The Lilac Chasetree - Vitex agnus-castus was originally introduced from Eurasia but has naturalized through the South and Middle to South Eastern United States. It is found from Southeastern Pennsylvania and Kentucky in the North to Florida and Texas on West through California in the West. It is distinguished by the combination of palmately compound, 5 parted leaves, and lavender flowers. 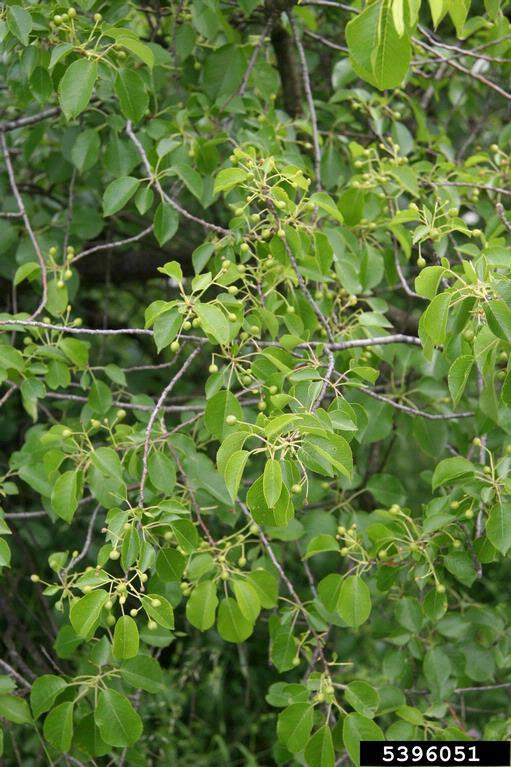 It is a deciduous strongly aromatic shrub or small tree that reaches heights of 10-25 feet on average and grows in an erect form. Generally a single trunk but sometimes found with multiple stems, a rounded crown that is dense in shape. 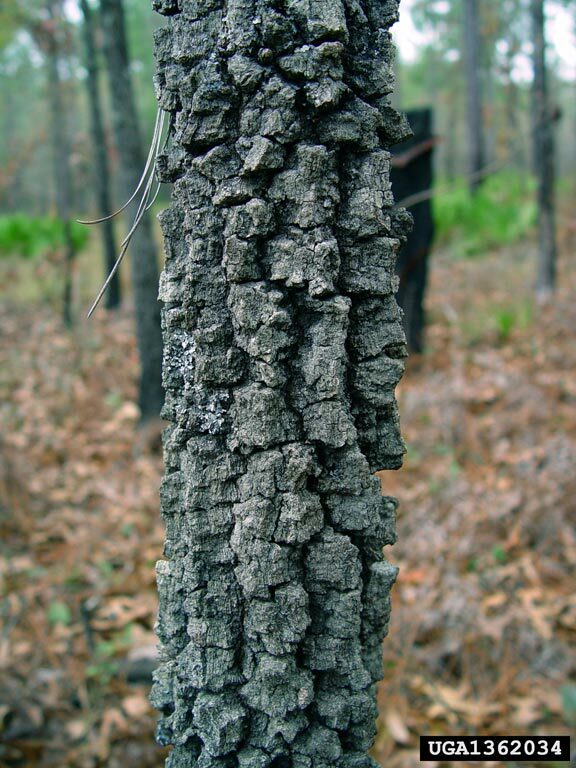 The bark is reddish brown or brown in color, smooth when young becoming finely fissured and scaly with age. The leaves are opposite, palmately compound, with 3-9 leaflet but usually 5, lanceolate tapering to a sharp tip. The upper leaf surface is dull green in color and hairless moderately lustrous, the lower surface is grayish green in color. The flowers are about 1 cm long, 5 petals, lavender, blue or white in color. The flowers are born in erect terminal clusters that are 12-18 cm long. The flowers occur in the Summer before the fruit which appears in late summer to early fall. 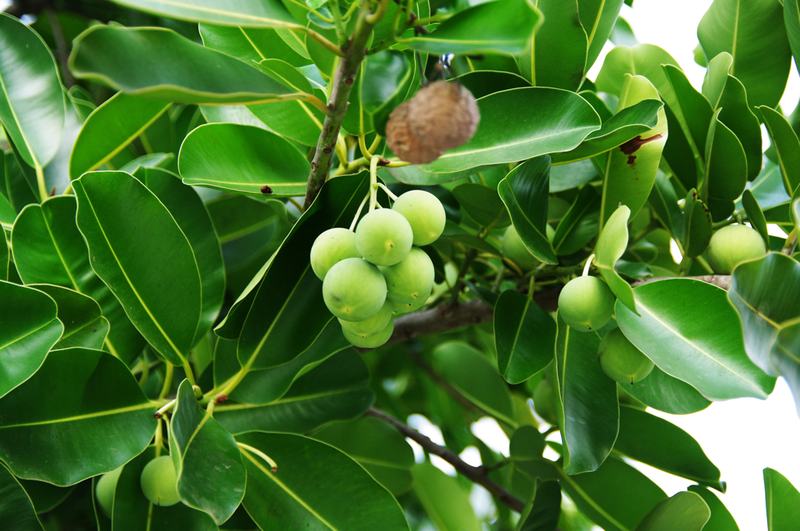 The fruit is round, dry, hard drupe that contains a 4 parted stone. 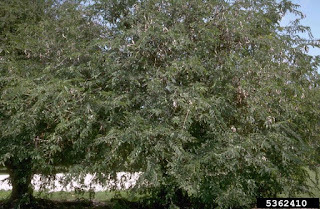 The Vitex - Chasetrees are a family of more then 250 species distributed in mostly tropical or subtropical regions of the world. 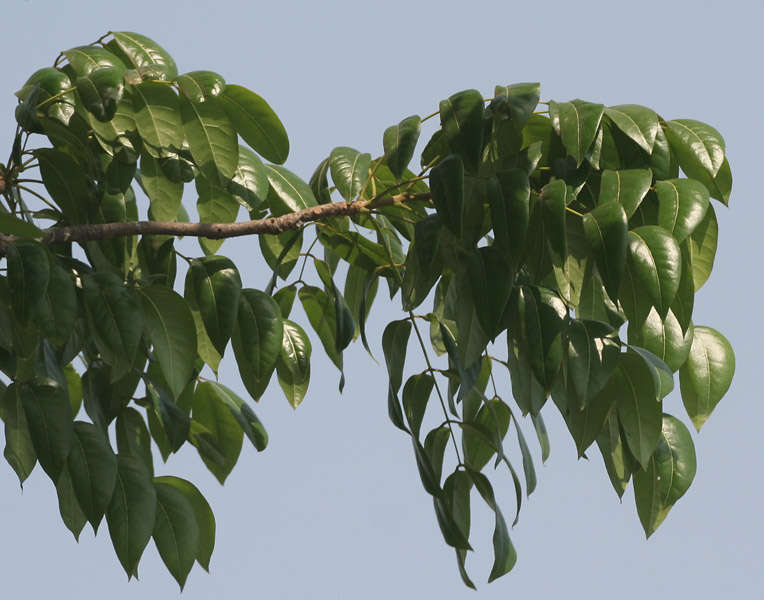 Several are grown as ornamental and other are used for lumber production. Only 4 of the Vitex have naturalized in the East. There are both deciduous and evergreen trees and shrubs. This one is a common site this time of year, with lovely red fire like coloring the Burning bush - Euonymus alatus is a well loved addition to many fall landscapes. Recognized by the combination of opposite leaves, paired purple fruits, bushy form and winged stems. The Burning Bush is a deciduous shrub or rarely small tree that can reach heights of up to 14 feet tall, though usually grown in shrub form. Naturally it grows mainly in a bushy form with multiple trunks and a broad crown. 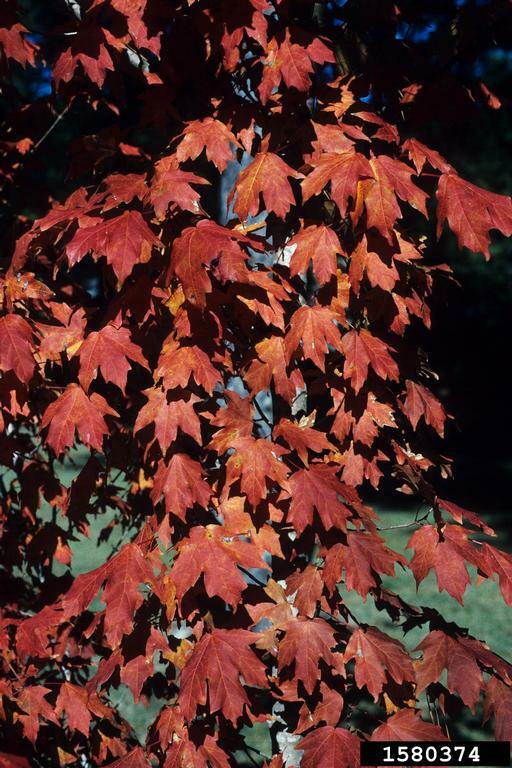 Burning bush was introduced to the United States but has become established in areas from New Hampshire to Ontario in the North, Missouri and Oklahoma in the West, and Georgia in the South. 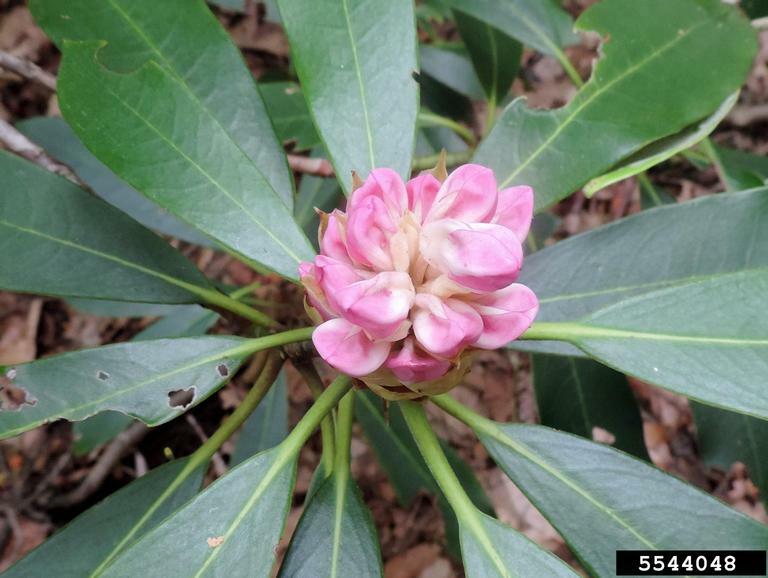 This variety is even considered to be invasive in the Southeast. We offer free local wood chip delivery year round when working in your area, call our office today to be added to our delivery list. We service Anne Arundel, Howard, and Southwestern Baltimore Counties in Maryland. Even without leaves the bark of the American Beech sets it aside and makes it easy to identify, smooth in texture and gray to almost blue gray in color it is a stark contrast to the Oak and Pines generally found growing nearby. With age this smooth bark tends to darken and develop cankers or molten in appearance. The leaves are equally interesting, simply shaped ovate or elliptic they are coarsely toothed on the edges. 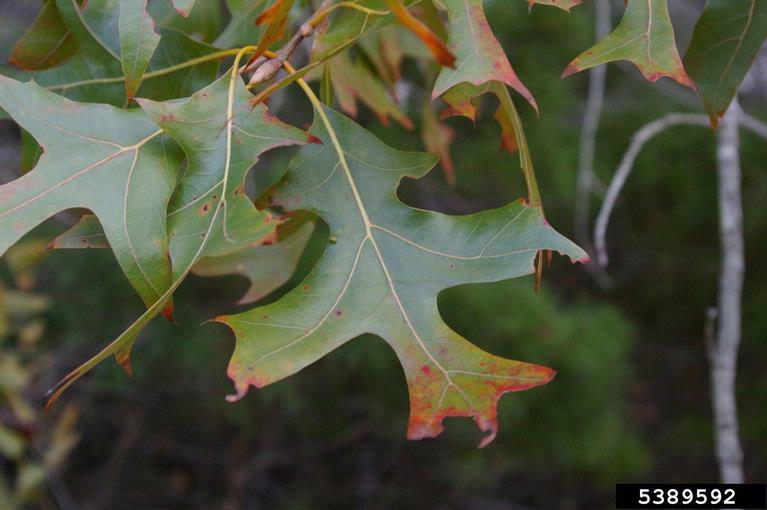 The upper leaf surface is lustrous and dark green in color, while the lower surface is paler and hairy. In the fall the leaves begin to shift from green to yellow, then a lustrous brown and finally a pale brown before falling and making room for new leaves in the Spring. The flowers are tiny, the males are borne in a globular head at the end of a silky stalk, the female are inconspicuous borne singly or in pairs. 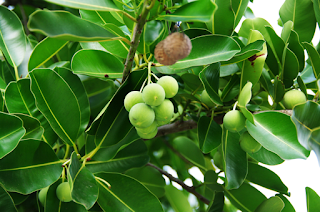 The fruit is a bristly 4 compartment capsule that usually contains 2 angled or ridged nuts (occasionally 1 or 3).